Excellent product, it work, plugged and work. 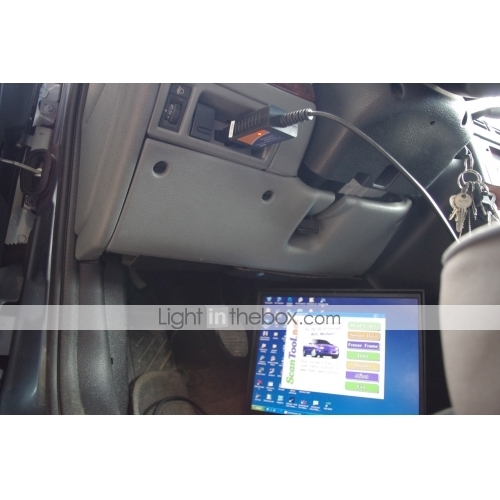 Testing device on several car without problem . Auto recognize operation mode thru OBDII CANBUS 157654 and ISO91412 . Bundled with the device there is a software that permit full control and testing . Very fast from order confirm to expedition .Good package with clear identification of buyer .Price low . I recommend it to anyone who works with the automotive industry . You can reset error condition on your car . With simple modication you can use it with Arduino!!!! Pietro	Excellent product, it work, plugged and work. 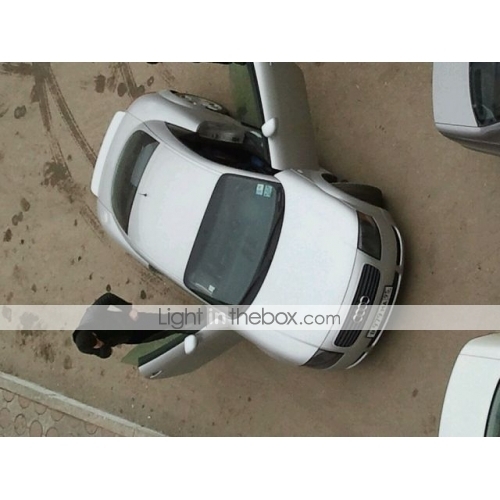 Testing device on several car without problem . 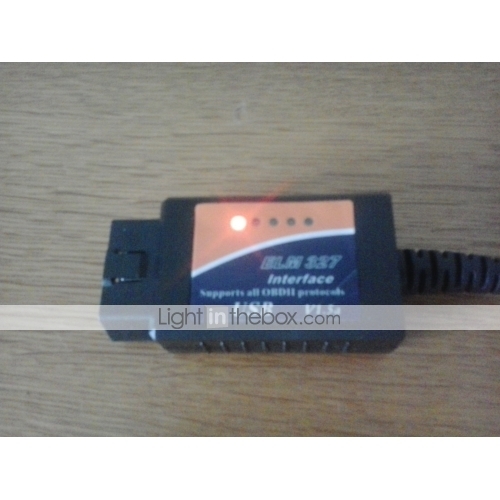 Auto recognize operation mode thru OBDII CANBUS 157654 and ISO91412 . Bundled with the device there is a software that permit full control and testing . 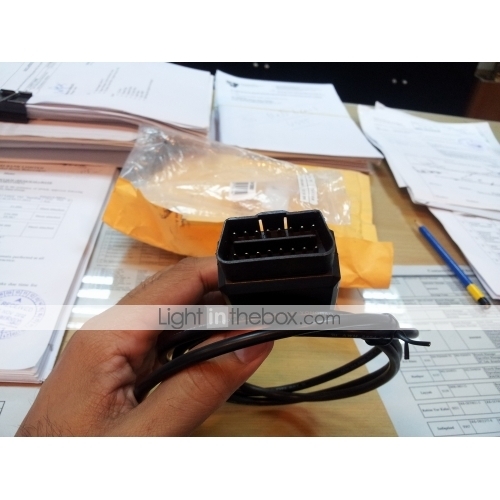 Very fast from order confirm to expedition .Good package with clear identification of buyer .Price low . I recommend it to anyone who works with the automotive industry . You can reset error condition on your car . With simple modication you can use it with Arduino!!!! hi, when i try to open the program they ask about registration key, what is that, how i find it? hi, when i try to open the program they ask about registration key, what is that, how i find it? you get the registration key? you get the registration key? tell me why I just bought, but has not made mine. tell me why I just bought, but has not made mine. I was very curious regarding the quality and working of OBDII scanner but i received it on time and its working pretty good. 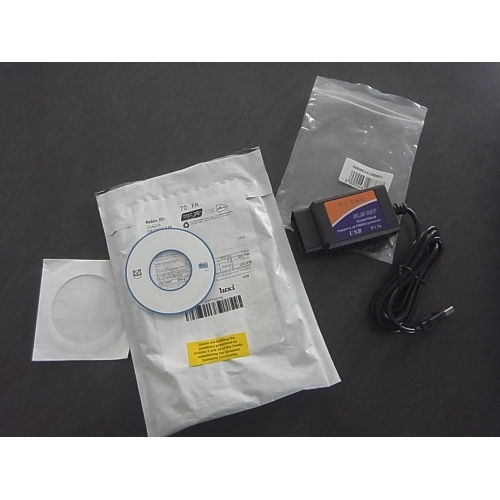 The default software provided with the package is providing all the basic data and the scanner is reading all the available on board protocols. I have used it with my Toyota Corolla and Civic reborn 2011 in both these cars its working perfectly fine. Good thing about the software provided that it can reset the setting to default and can turn off the check engine light. One more thing the price is very reasonable and compared to quality and working. 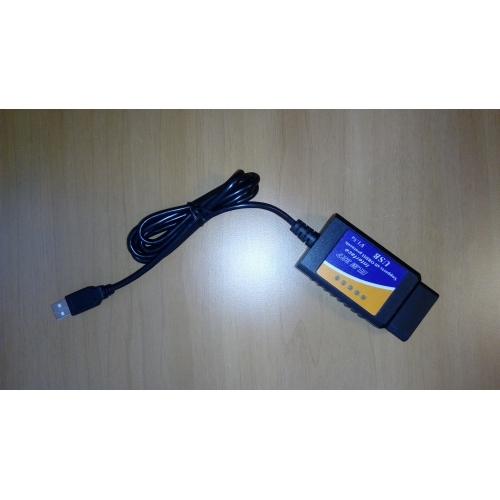 Hasan Feroze (Pakistan)	I was very curious regarding the quality and working of OBDII scanner but i received it on time and its working pretty good. The default software provided with the package is providing all the basic data and the scanner is reading all the available on board protocols. Can you please give a little detail like how its works and where can I connect it in City 2013. I was used to buy from this site in Austria but now I am in Pakistan. Can you please tell me how shipping works in Pakistan and what about taxes (In Austria shipment from china was sent as gift and there was no tax. thanks in advance. Can you please give a little detail like how its works and where can I connect it in City 2013. I was used to buy from this site in Austria but now I am in Pakistan. Can you please tell me how shipping works in Pakistan and what about taxes (In Austria shipment from china was sent as gift and there was no tax. thanks in advance. il programma è molto userfriendly e facile da imparare. è anche molto facile da installare, consegna nei tempi stabiliti. il programma è molto userfriendly e facile da imparare. è anche molto facile da installare, consegna nei tempi stabiliti. Ciao Petronel, se vuoi avere maggiori informazioni riguardo al prodotto che ti interessa, non esitare a contattare il Servizio Clienti all'indirizzo http://www.lightinthebox.com/it/r/contactus.html. Continua a seguirci! Tanti saluti da Lightinthebox! Ciao Petronel, se vuoi avere maggiori informazioni riguardo al prodotto che ti interessa, non esitare a contattare il Servizio Clienti all'indirizzo http://www.lightinthebox.com/it/r/contactus.html. Continua a seguirci! Tanti saluti da Lightinthebox! L’ OBD2 scanner ELM327 USB, interface et logiciel, est une très belle invention : pour quelques euros grâce à Lightinthebox j’ai eu le diagnostic d’un affichage d’alerte (anomalie temporaire de la commande d’accélérateur) et même éteindre cet affichage alors qu’il restait allumé après disparition de l’anomalie. Ce voyant « diagnostic » ne s’est jamais rallumé. 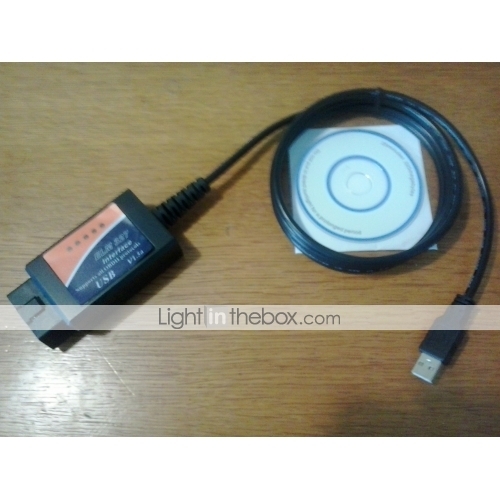 Je félicite LightintheBox pour sa livraison rapide et son prix (très inférieur à l’intervention du garagiste…)	L’ OBD2 scanner ELM327 USB, interface et logiciel, est une très belle invention : pour quelques euros grâce à Lightinthebox j’ai eu le diagnostic d’un affichage d’alerte (anomalie temporaire de la commande d’accélérateur) et même éteindre cet affichage alors qu’il restait allumé après disparition de l’anomalie. Ce voyant « diagnostic » ne s’est jamais rallumé. Due to a single interference in the throttle electric command, this warning stayed lighting. A scan done by the Peugeot agent (30 Euros) confirmed the origin, but the agent was unable to define the actions to do and their costs! He let the light on! 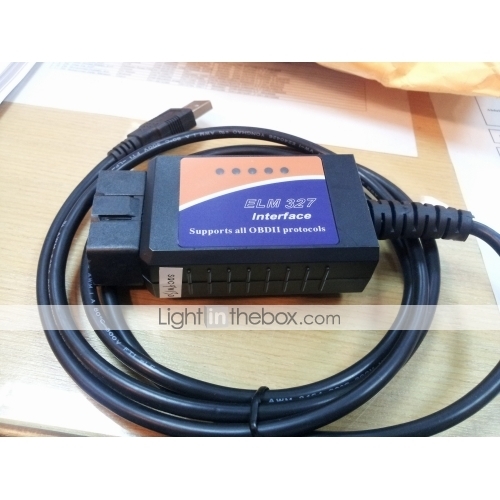 I received the ELM327 OBD2 scanner very quickly. The installation has been very easy. The autodiagnostic light is now off but still active: No new interference. Many thanks to Lightinthebox for a price and delivery very good. Due to a single interference in the throttle electric command, this warning stayed lighting. A scan done by the Peugeot agent (30 Euros) confirmed the origin, but the agent was unable to define the actions to do and their costs! He let the light on! The autodiagnostic light is now off but still active: No new interference. Many thanks to Lightinthebox for a price and delivery very good. Je nai jamais reçu le colis n° SYLLT35376386, après contact avec le service après vente un "autre" colis mas été envoyé, ce qui explique le délais de livraison très long, le colis n° RC323770362NL est bien arrivé aujourdhui, il ne me reste plus quà le tester ces prochains jours. Je nai jamais reçu le colis n° SYLLT35376386, après contact avec le service après vente un "autre" colis mas été envoyé, ce qui explique le délais de livraison très long, le colis n° RC323770362NL est bien arrivé aujourdhui, il ne me reste plus quà le tester ces prochains jours.